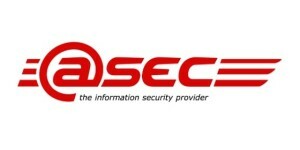 atsec information security is an independent, privately owned company that focuses on providing laboratory and consulting services for information security. We address commercial and government sectors around the world. Our consultants are expert in a variety of technologies including operating systems, databases, and network devices. Our laboratories specialise in evaluating and testing commercial products, using international standards to help provide assurance to end-users about the products they buy and use. We focus on assisting organizations, large and small, achieve compliance with standards such as Common Criteria, FIPS 140-2, O-TTPS, PCI, ISO/IEC 27001 and FISMA and offer a variety of services that complement that goal. 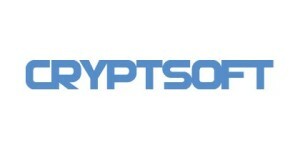 Cryptsoft is a privately held Australian company that operates worldwide in the enterprise key management security market. Cryptsoft’s Key Management Interoperability Protocol (KMIP) software development kits (SDKs) are the market’s preferred OEM solutions. Cryptsoft’s solutions have been selected by prominent global companies for interoperable enterprise key management and encryption technology in their storage, security and cloud products. 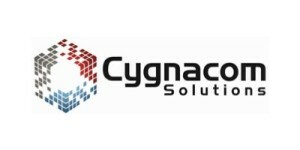 Cryptsoft is an OASIS Foundational Sponsor, SNIA and SSIF Voting Member. The Cryptsoft Quality Management System was initially certified to ISO 9001:2008 in 2010 and is formally certified to ISO 9001:2015. Refer to the current ISO 9001 certification certificate. Secure Software for the Internet of Things – Allegro Software is a leading provider of embedded Internet software toolkits to product developers worldwide. Field proven in 200,000,000+ devices, our solutions enable manufacturers of hardware, software and digital products in the Military, Energy, Healthcare, Enterprise and Consumer markets to create connected secure devices using TLS, Suite B, FIPS 140-2 capabilities and more. 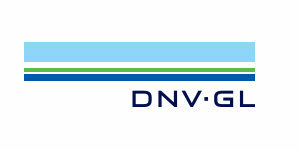 DNV GL is a world-leading provider of digital solutions for managing risk and improving safety and asset performance for ships, pipelines, processing plants, offshore structures, electric grids, smart cities and more. Our open industry platform Veracity, cyber security and software solutions support business-critical activities across many industries, including maritime, energy and healthcare. We are your trustworthy, independent advisor on cyber security for critical infrastructure within maritime, oil & gas, energy, health, finance and manufacturing. We use our cross-industry experience helping you to fully assess and understand your cyber security risk picture, its impact on your business and to take the necessary steps you need to accomplish to secure full compliance, an acceptable risk level and improved business performance. 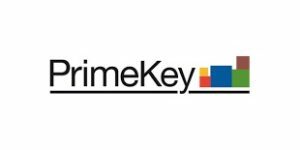 One of the world’s leading companies for PKI solutions, PrimeKey has developed successful technologies such as EJBCA Enterprise, SignServer Enterprise and PrimeKey PKI Appliance. PrimeKey is a pioneer in open source security software that provides businesses and organisations around the world with the ability to implement security solutions such as e-ID, e-Passports, authentication, digital signatures, unified digital identities and validation. With head offices in the UAE and serving regional and global customers, DarkMatter is a team of cyber security specialists dedicated to providing secure, trusted and integrated protection services. As a trusted partner to the UAE government, we have the proven integrity, intelligence and cyber security capability to safeguard a nation. Technology has changed the world beyond measure. Digital progress has made lives easier and businesses more efficient. However, with technological progress comes many threats to Government, Enterprise and Individuals. We are transforming the cyber security landscape through a complete range of state of the art services and solutions for government security agencies all the way to businesses and individuals. Gemalto is a global leader in digital security, bringing trust to an increasingly connected world. We deliver a vast range of technologies and services to businesses, governments and other organizations, protecting identities and data so they’re kept safe wherever they’re found: in personal devices, connected objects, the network, the cloud and in between. DEKRA has been active in the field of safety for more than 90 years and is one of the world’s leading expert organizations in testing, inspection and certification. Our qualified and independent experts work for safety on the road, at work and at home. Among other things, they test and certify consumer, industrial, automotive and ICT products, as well as medical devices and products used in explosive atmospheres for worldwide markets. Our smart combination of safety and connectivity testing gives you the edge in a world where products need to work with everything else. It’s what makes DEKRA your partner for a safe connected world. 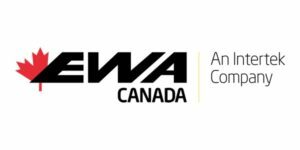 EWA-Canada was incorporated and has been in operation since June 1988. We are recognized as Canada’s premiere provider of information and communications technology (ICT) security and assurance services and a global centre of excellence in security engineering and test and evaluation innovation. Our solutions are based on the vast expertise of our personnel, a structured system engineering approach, and vendor-neutral selection and implementation of appropriate technologies. Our commitment is to provide excellence to our clients. EWA-Canada provides experienced, qualified resources, and company expertise in all facets of security program development and assessments, product test, evaluation and certification, security architecture design and development, identification token and credential issuance, security incident response, computer forensics and training. EYL has developed first generation of entropy chip (5mmx5mm) in 2015. We are now developing a smaller (2mmx2mm), thinner second generation entropy chip in 2017. We are also working on ultralight chip encryptor and thin film type quantum random number generator. Our core technology, a novel solution for loT security at affordable price, will be a gamechanger. Our products can dramatically improve security of all loT devices because they can provide more secure encryption powered by entropy chip. InfoSec Global provides sustainable data protection for a digital world. The company delivers a next generation, enterprise-grade solution that provides the real-time life-cycle management of the cryptography and digital identities for critical systems and connected smart devices. The solution manages the entire digital and cryptographic life-cycle from the discovery of threats and vulnerabilities to the updates and fixes of cryptography, keys and certificates. ISG helps governments and enterprises achieve trust through compliance to cryptographic regulations, worldwide. The ISG leadership team has deep professional and academic expertise in the security and cryptography market. The founders and board members are the original inventors of key cryptographic technologies, protocols and standards such as SSL and AES. ISARA is the largest organization in the world focused solely on developing quantum-safe cryptographic solutions for integration into commercial products to protect against emerging security threats. As businesses and governments around the world seek to protect themselves from emerging cybersecurity threats, they are making long-term strategic bets on emerging technologies to address their future business needs. ISARA’s mission is to help our customers take important steps to address the next generation of privacy and security concerns in the quantum age. The ISARA Radiate Security Solution Suite is the first commercial offering of a high-quality implementation of quantum resistant algorithms and related integration tools built for developers. It allows organizations and OEMs to integrate critical, quantum-safe security measures into commercial products and networks today, and facilitates the transition to crypto agility in enterprise security. ISARA’s R&D engagements include Canadian and UK Government agencies and several top 10 banks in North America. ISARA’s optimized quantum resistant algorithms for governments and large enterprises preserve user experience and performance while providing the highest levels of next generation security. ISARA has 30+ employees at its headquarters in Waterloo, Ontario, many with years of experience in technology companies, including BlackBerry, Certicom, Oracle, and McAfee, and academic and research institutions, including the Institute for Quantum Computing (IQC) and the Perimeter Institute. The ISARA team has expertise building high performance cryptographic systems for constrained environments. NewAE Technology Inc. has designed the revolutionary ChipWhisperer, the first complete open-source toolchain (hardware and software) that performs power-analysis and glitching attacks on embedded systems. NewAE provides hardware, software support, and training to help customers understand how these attacks apply to their system, so they can build more secure systems. The Rambus Cryptography Research division specializes in embedded security solutions to combat the worldwide threat to data integrity. Our innovative technologies span areas including tamper resistance, content protection, network security, media and payment and transaction services. Nearly nine billion security products are made annually with our security technology, and systems designed by our scientists and engineers protect billions of dollars in revenue every year. Additional information is available at rambus.com/security. Red Alert Labs is bringing trust to the IoT by providing consulting and certification services to organizations developing and integrating IoT solutions. We act as the security partner helping these organizations create, reach and maintain their IoT security goals. Our partners turn to us at any stage of the IoT solution life-cycle to benefit from our special expertise in IoT security and full mastering of compliance and regulations. Rohde & Schwarz Cybersecurity is an European IT security company that protects companies and public institutions around the world against cyberattacks. The company develops and produces technologically leading solutions for information and network security, including highly secure encryption solutions, cloud security, next generation firewalls and endpoint security. The portfolio also includes vulnerability scanners and firewalls for business-critical web applications and web services. More than 500 people are employed at locations in Germany, France and Spain. Ultra Electronics, 3eTI is a leading cyber-physical technology company with solutions that connect and protect critical information and infrastructure systems. Our products and services reduce the risk of cyber threats causing physical harm by providing certified assurance that operational technology networks and devices are operating when expected, as expected and under the control of legitimate users. Since 1995, Ultra 3eTI has been a trusted supplier for the defense, government, energy and industrial automation markets worldwide through advanced cybersecurity, secure wireless, perimeter management, and security services. These organizations rely on our highly secure, military-grade platforms to communicate and protect critical assets. Our experience and tested performance in some of the most demanding and harsh environments make 3eTI an obvious choice. The wolfSSL embedded SSL library is a lightweight, portable, C-language-based SSL/TLS library targeted at IoT, embedded, and RTOS environments primarily because of its size, speed, and feature set. It works seamlessly in desktop, enterprise, and cloud environments as well. 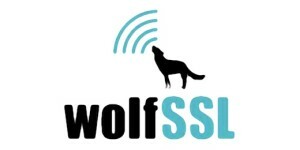 wolfSSL supports industry standards up to the current TLS 1.3 and DTLS 1.2, is up to 20 times smaller than OpenSSL, offers a simple API, an OpenSSL compatibility layer, OCSP and CRL support, is backed by the robust wolfCrypt cryptography library, and much more. 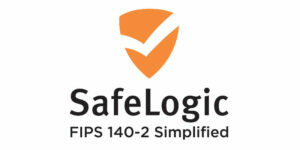 The CMVP has issued FIPS 140-2 Certificate #2425 for the wolfCrypt Module. Acumen Security is your one stop shop to certify your products and get into the hands of your government customers ASAP. We aim to not only certify your products, but also do so in the easiest, fastest and cheapest way possible while maintaining the integrity of the certification efforts. That means not cutting corners but working smartly. It means being able to understand your worldview so that we can adapt to your needs. It means being available when you need us. Most of all it means being a partner in your certification journey rather than running parallel. AEGISOLVE Cyber Security Laboratories accelerates your time to market with proven security analysis and testing processes. 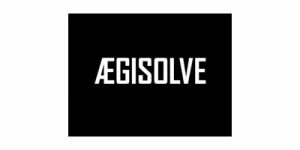 Headquartered in Silicon Valley, California, AEGISOLVE is an accredited industry leader, providing FIPS 140-2 validations for over a decade. Brightsight is the largest independent security evaluation lab in the world. We have over 30 years of experience in evaluating security products against a variety of requirements, including Integrated Circuits, Embedded Systems (Medical, IoT, Automotive), Smart Cards & Software components, Payment terminals, Mobile Payment solutions, including HCE, TEE, eSE, Telecommunication products, Smart Meters and Biometrics solutions.